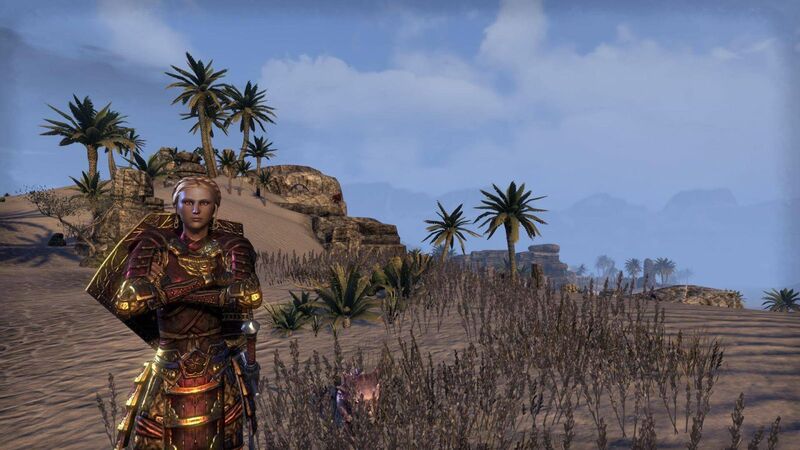 MmoMiss.com strives to provide the Cheap elder-scrolls-online, Items, Power leveling for players, and we firmly believe that all Game Products for sale on our site is the cheapest in the market. mmomiss:Why not turn Evasion or Immovable into the physical damage shield? It is a light armor skill that is used to restore magicka and protect from it. The change on PTS makes it protect from physical damage too, but if physical damage is done to the shield, you do not get any magicka restoration. I understand you want everyone to have a shield they can access now. Choose something else to change or at least let the physical damage restore magicka too. I don't understand why you are choosing a light armor skill to protect from physical damage. It make absolutely no sense at all. To those of you who disagree with me, you are entitled to that. Commenting on this post with personal attacks like L2P or adapt to changes or whatever are just not needed and wont contribute to this conversation. Trolls are gonna troll anyway, so have your fun with it. I just don't want the magicka regen taken from the awesomeness of what Harness Magicka is. Because if you take physical damage first, the shield will wear off and you won't be able to get any magicka returned. It should remain a magicka shield only. You only get magicka back if the shield absorbs magicka damage instead of physical..
"Surround yourself with a net of magic negation to absorb up to XXXXX damage over 6 seconds.The bonus increases by 6% for each piece of Light Armor Equipped"
The first line on the Live server says "spell damage" instead of just damage. If this LIGHT ARMOR ability now can absorb physical damage too, then that same physical damage should restore the magicka that spell damage would do. You can't say that it would not make sense because the Devs can do whatever they want, just like they are doing with this LIGHT ARMOR MAGICKA SHIELD ability. Everyone is getting a bigger shield to physical damage with the new DLC, but they are risking the loss of the magicka restoration they would normally get because the physical damage might block it from happening. That is the only problem I have with this. Why not turn Evasion or Immovable into the physical damage shield? Some people see it as an enhancement and the protection against physical damage is nice. I see it as a partial nerf because you will lose the restored magicka if Harness takes physical damage first. I appreciate the physical damage absorption but I hate that it nerfs the magicka regen if you get hit with physical damage first. Example: Getting hit with a jesus beam, if I choose to have harness on my bar I can not only eat part of the beam up, but I can also use it to restore my magicka while doing so. Yes, I can make a build that has higher magicka regen and go lower with spell power, but sometimes I like to make things go boom and rely on the regen I get from potions and harness magicka. If I am fighting off a few melee players while at the same time fighting a magicka user, there is a good chance that physical damage will hit my shield before magicka does. The magicka restoration from harness magicka comes in very useful when fighting in places like the no CP PVP campaign. If I choose to go with high magicka regen there, then my spell damage is usually crap. With Harness, it makes things a little easier to deal with. Once again, it is great that they are adding the physical damage shield to this skill. I just don't want to lose the magicka resources because of it. This is a very useful skill for any light armor magicka based class. Comment:mmomiss:Why not turn Evasion or Immovable into the physical damage shield?